Our family has been serving the Palm Springs area for over 30 years! Taking care of your pest control problems is more complicated than it looks! Mr. Beez knows exactly what products and application methods work best to eradicate any kind of infestation. We will also share preventative measures to make your home, even more, pest free! The Coachella Valley is a beautiful place to live, and I hope that you enjoy it as much as my family and I do. My family has been serving the Coachella Valley for over 30 years from real estate to pest control. Many folks are looking for a pest control company that they can trust and communicate with. 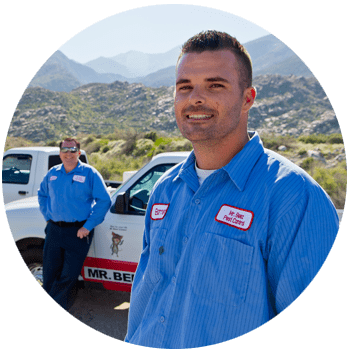 When I started servicing homes in the Coachella Valley, my primary goal was to provide excellent service with chemicals that are safe for your family and pets. My goal was to have a fair pricing model and open communication to achieve the best results. Today we serve close to 1,000 families in the desert. We currently hold the highest rank on Yelp. Please check out our reviews. My team and I would love to give you a quote on doing your pest control, and we look forward to earning your trust and loyalty along the way. 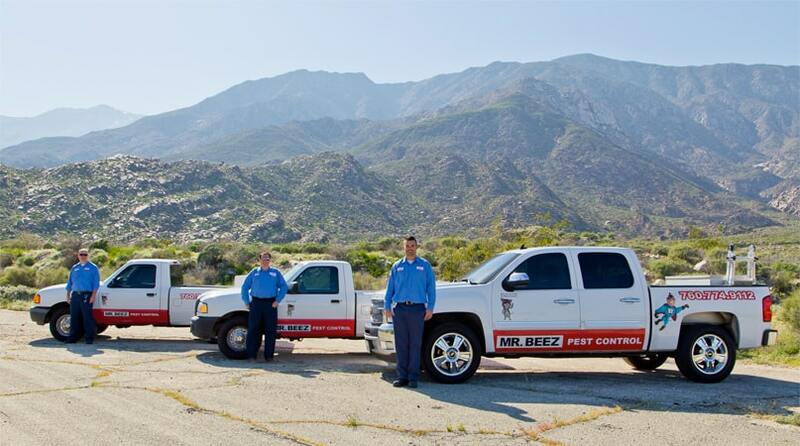 Hi there, I’m Barrett, the Owner of Mr. Beez pest control we service Palm Springs and the surrounding area. Like you, I hate having pests around which is why I take pride in running the best pest control business in the Coachella Valley. Read more about me and my company here. Learn more about our pest control services. Contact us today to see what our Palm Springs pest control experts can do for your home or office. Save $35 on your next service! Get a free month of service when you pay for the entire year! Mr. Beez is the best!! Barrett has been our go-to guy for many years. He, Dan and Angela are a pleasure to work with. The bugs are kept at bay and the rates are very reasonable.